On Sunday 30th August Glenmore athletes travelled the short distance to Ardee for the annual sports day. Glenmore had a large number of athletes competing and all acquitted themselves very well in the final track and field meeting of an eventful season. In the u8 age group, Jessica White, Emma Mc Carragher and Katie Mc Donald all qualified for the final of the 60m sprint with Katie placing an excellent 2nd. All three then represented the club in the 200m where they finished consecutively with Emma 3rd, Katie 4th and Jessica 5th. The sole representative in the boys u8 events Christopher Conlon, on his debut outing for the club ran extremely well in both the 60m and 200m. 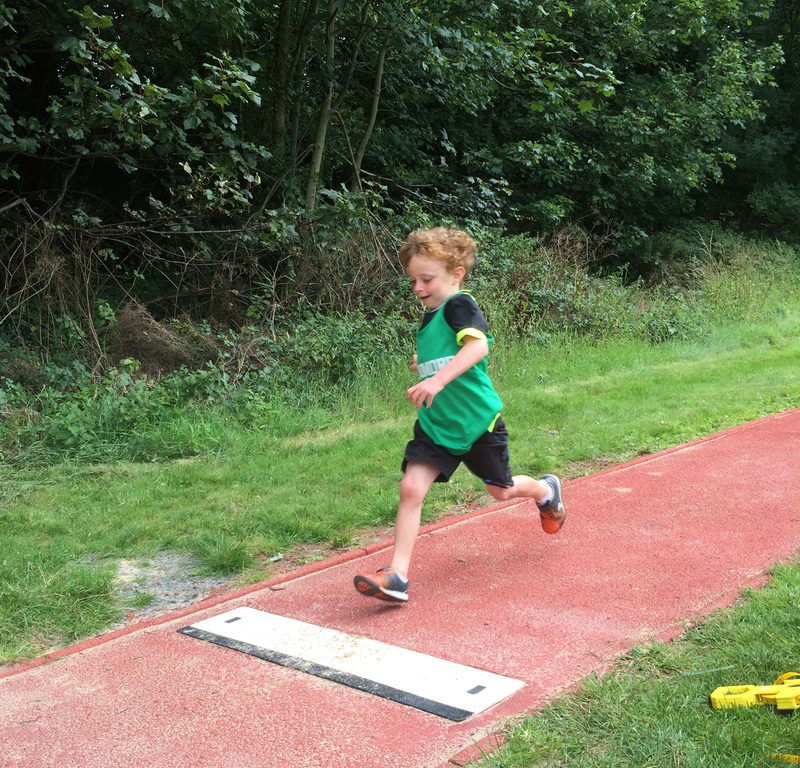 Dualta O’Neill, also being the only Glenmore athlete in his u9 age group, threw very far up his age in the u10 boys Turbo Javelin and gave it his all in a very fast u9 200m event and Long Jump also. 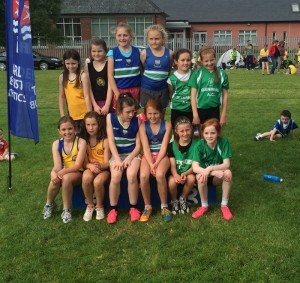 The u10 and u11 girls events saw great performances from four of Glenmore’s determined girls. Lucy White and Chloe Mc Carragher competed in the u10 80m Sprint with both girls making the final and Lucy grabbing a silver medal, afterwards they took on the 200m with Lucy placing an incredible 1st place and Chloe also having a great run among a big field of athletes. Chloe and Lucy also competed very well in the Turbo Javelin before moving up their age to join Ava Brady and Lisa Conlon in the u11 Long Jump. All four girls jumped extremely well with Lucy just missing out on the medals in 4th. 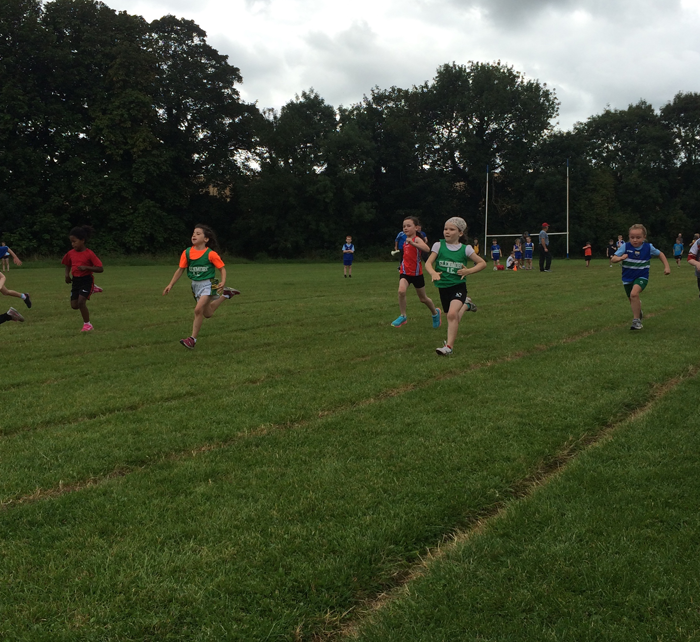 Ava and Lisa had wonderful races in the u11 100m Sprint making the final with Ava just outside the medals in 5th. 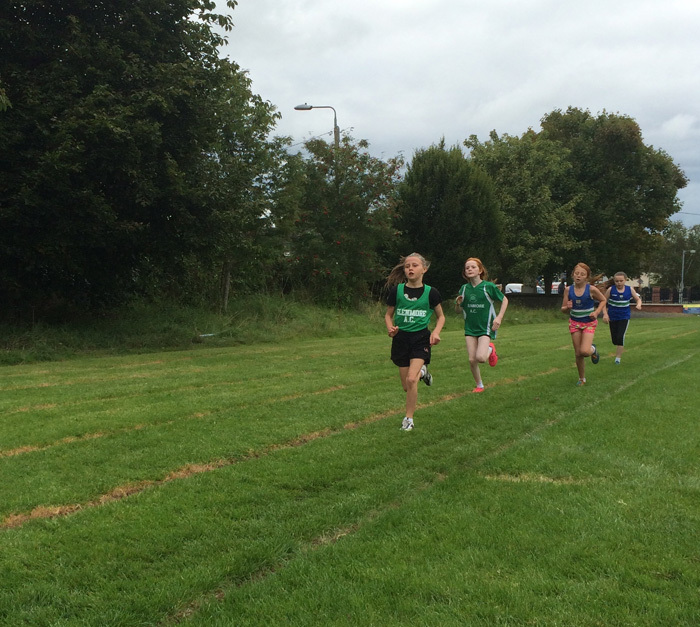 Both girls then competed in the 600m finishing strongly in a speedy race among a tough field. Sean Mc Carragher and Shaun Quinn both threw incredibly in the u12 boys Turbo Javelin with Shaun placing a wonderful 3rd and Sean close behind in 4th. Shaun acquitted himself well and gave it his all in the 100m sprint also. Nicole Barry leapt for a fantastic 3rd place medal in the u13 girls Long Jump showing she is as ever improving in the event. 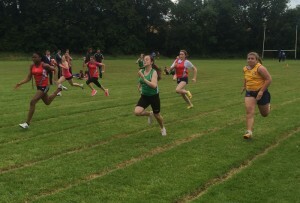 She also joined Ciara Carolan and Anna Mc Ardle in the 100m sprint where Ciara made the final and powered home to a wonderful gold medal in a very competitive field. Anna Mc Ardle then took on 800m and stormed around the two laps leading from start to finish to also take home a gold medal. 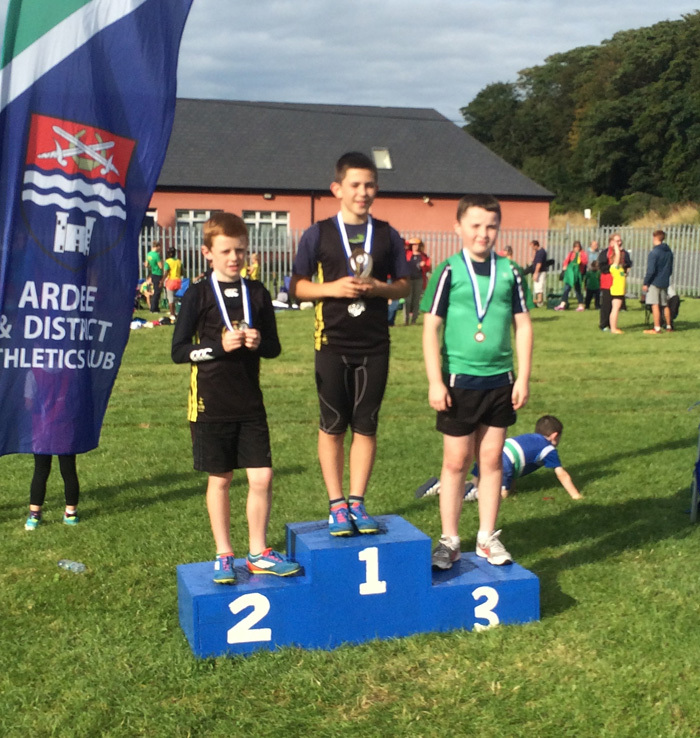 Enda O’Neill and Daragh Brady took on the u13 boys events on the day. 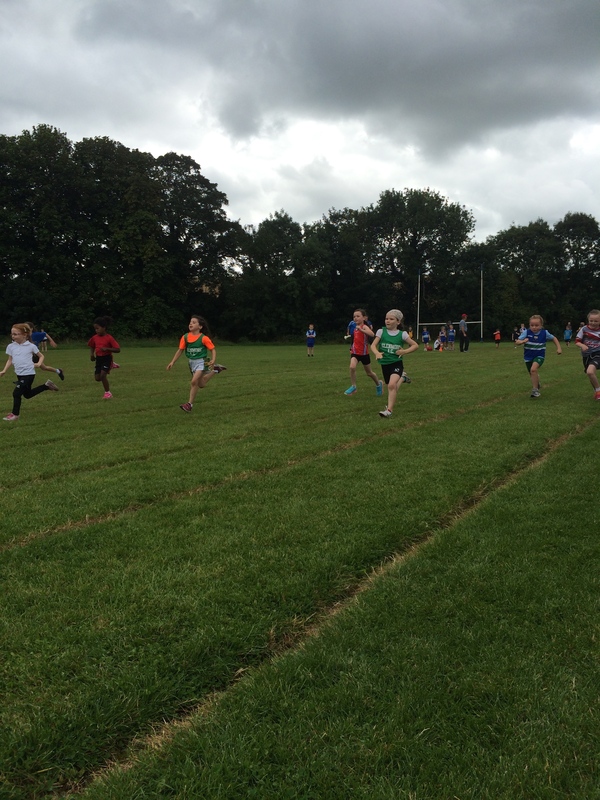 Daragh placed a wonderful second in the 100m followed by Enda who also ran a fantastic race. Both boys then raced in the 800m events finishing just outside the medals with Daragh 4th and Enda 5th. They also performed tremendously well in the Long Jump both having a good series of jumps. In the u14 events, James Mc Ardle, Niall Brady had great performances in the 100m sprint. Niall then finished a credible 2nd place in the 800m event following a tremendous final 200m. He was followed by James who finished in 4th place after running a commendable race after facing a tough season of injury. 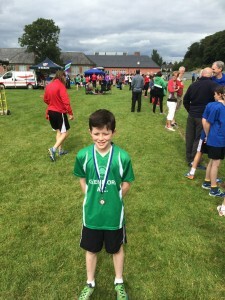 Diarmuid O’Neill then grabbed a silver medal in the Shot Putt with a wonderful throw. This is true testament to all of his hard work this season. In the u15 boys 100m Richard Campbell stormed home to a gold medal with a usual super fast performance. He then placed second in the 1500m which shows his great improvement this season. Katelyn Quinn took home bronze in the u15 girls 100m sprint following a very fast race. She then went one step better when she stepped up to the mark to grabbed a tremendous gold medal up her age in the u16 Long Jump. Joining her, Chloe Barry took home the bronze medal in the event. Chloe also took to the line in the u16 100m sprint where she finished an admirable 3rd place, after just returning from injury this year. In the u16 boys events Paul Mc Glynn took home three silver medals. After a tremendous sprint in the 100m and a wonderful series of jumps in the Long Jump, he then tackled the 1500m where again he took home silver. 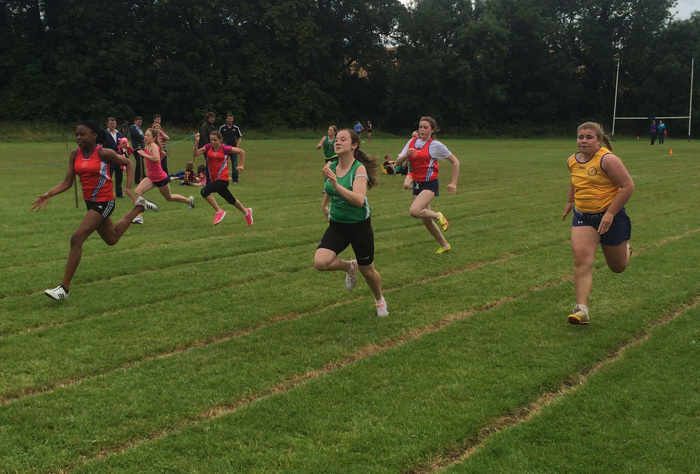 To finish off the day, Glenmore athletes took part in six relay events. The u9 mixed team of Katie Mc Donald, Dualta O’Neill, Jessica White and Emma Mc Carragher where unfortunate to be just pipped on the line into 4th place but made up of all u8 athletes they did extremely well. 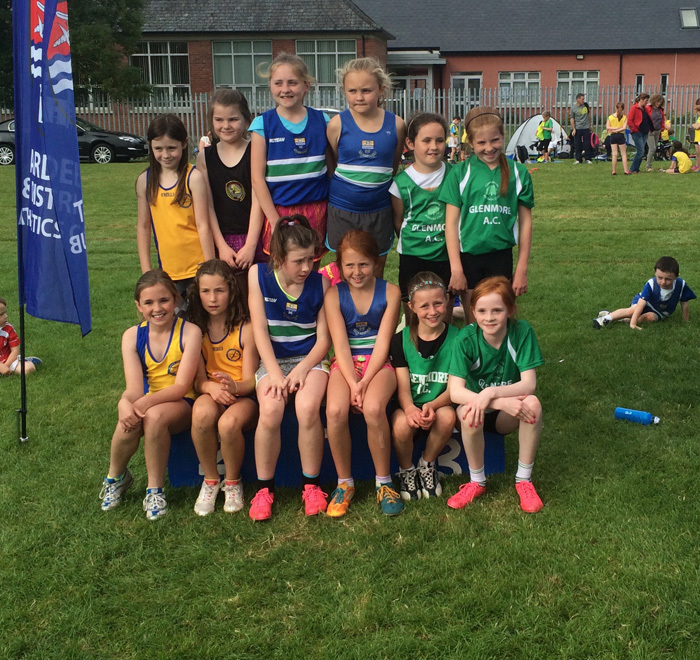 Chloe Mc Carragher, Lisa Conlon, Ava Brady and Lucy White made up the u11 girls team who took home bronze medals in fast competition. The u13 girls relay team of Anna Mc Ardle, Nicole Barry, Ciara Carolan, along with good friend Aoibhinn Mc Mahon (Blackrock AC) who ran a tremendous back straight finished a credible 1st place. The u13 boys team of Shaun Quinn, Sean Mc Carragher, Daragh Brady and Enda O’Neill also took home medals in third place. Niall Brady, James Mc Ardle, Diarmuid O’Neill and Richard Campbell made up the u15 boys team who ran a stormer and finished first. 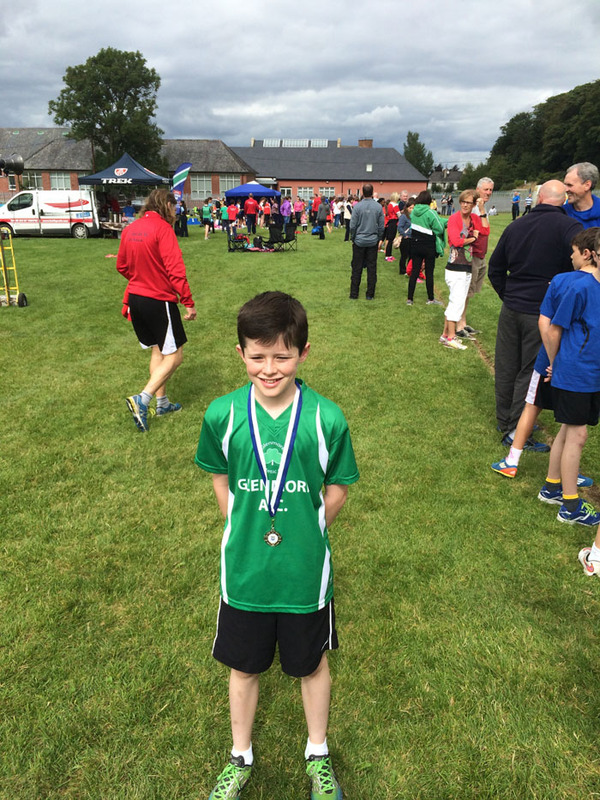 Paul Mc Glynn finished off the day taking part in a mixed club u19 relay who placed first. 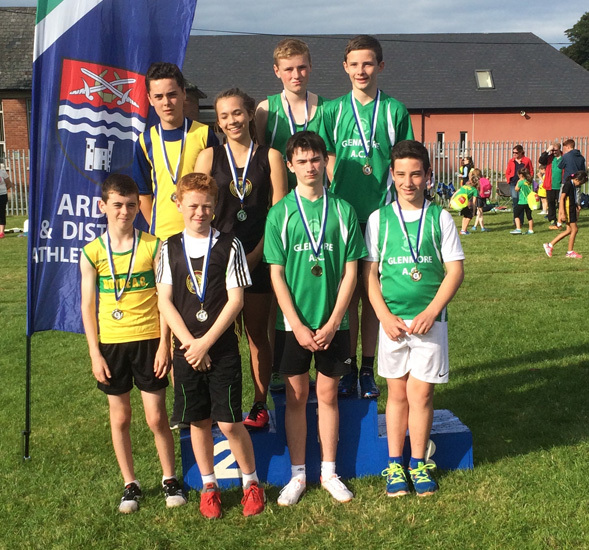 Well done to all athletes who competed on Sunday and to everyone in Glenmore who represented the club in a fantastic track and field season.